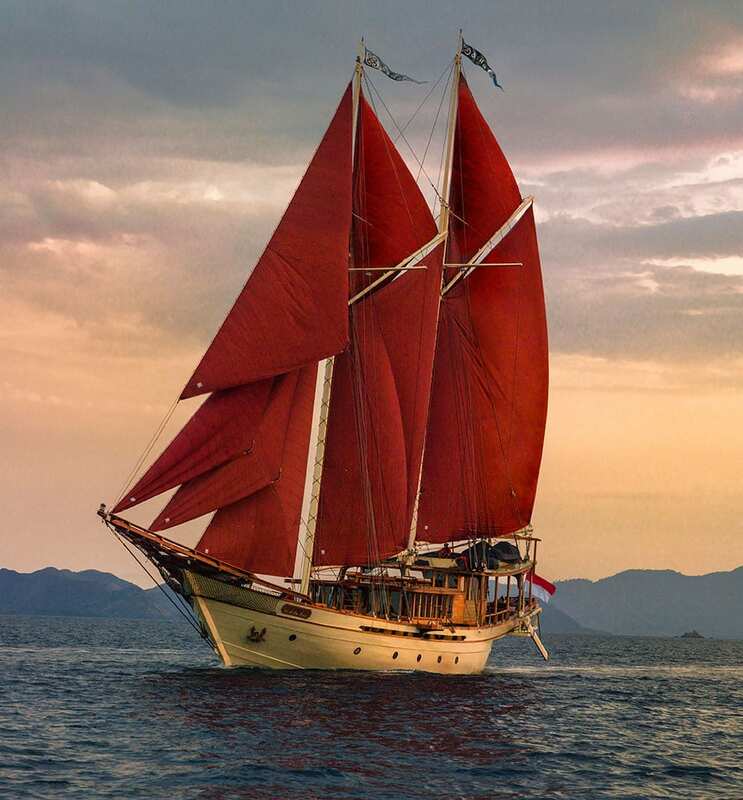 Amandira combines the Sanskrit words for ‘peace’ and ‘intrepid’, and that’s exactly what you get on this gorgeous 52-metre, two-masted Phinisi yacht handcrafted by shipbuilders of the Indonesian Konjo tribe. 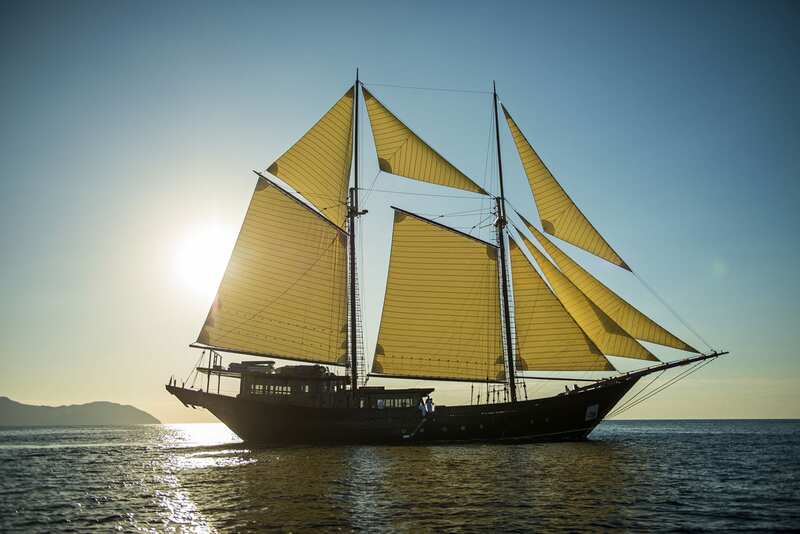 This is the second yacht built and managed by Aman Resorts, so you can expect the same contemporary luxuries and legendary service onboard that you would get at any of the five-star Aman resorts. 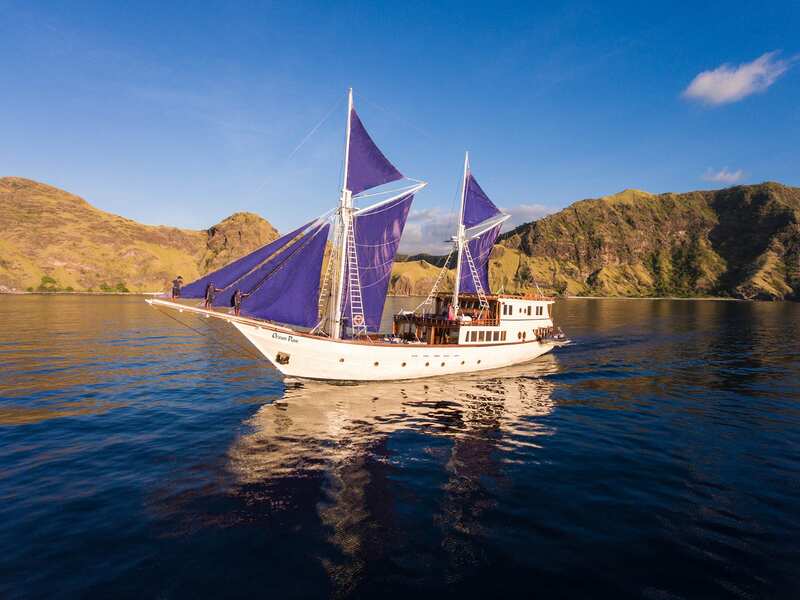 Even better, you can sail Amandira in tandem with sister yacht Amanikan for an unforgettable adventure for larger groups through the Indonesian archipelago. 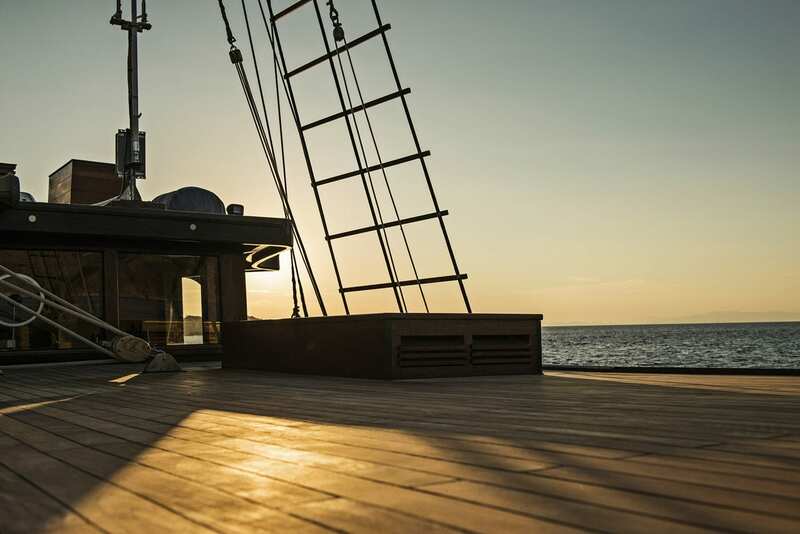 Natural wood and neutral earth tones create a soothing palette onboard Amandira, and the ship was designed with comfort and convenience in mind. 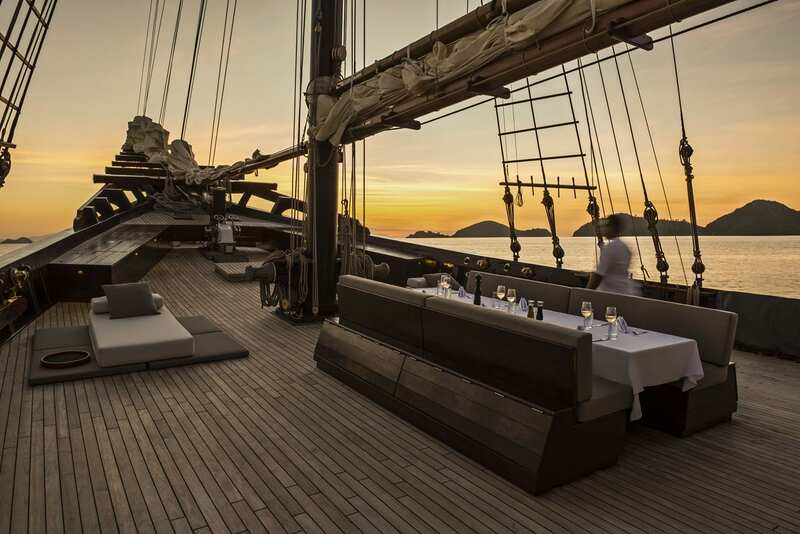 The expansive teak foredeck boasts sun loungers, a bar and a dining area, which makes it the perfect spot to sunbathe and watch the seascapes go by during the day, enjoy sundowner cocktails come dusk, and dine under the stars after dark. 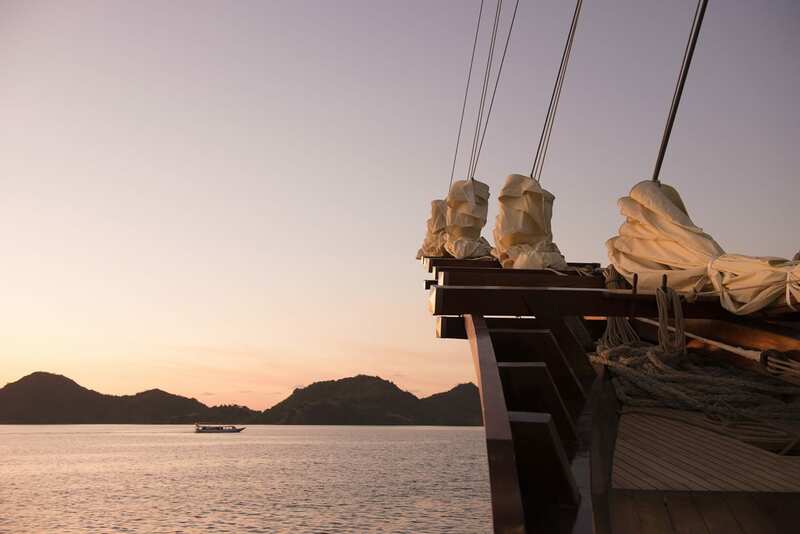 Inside you have your choice of an air-conditioned lounge, library and entertainment room with soft sofas and state-of-the-art technology like portable Bose Docking stations. 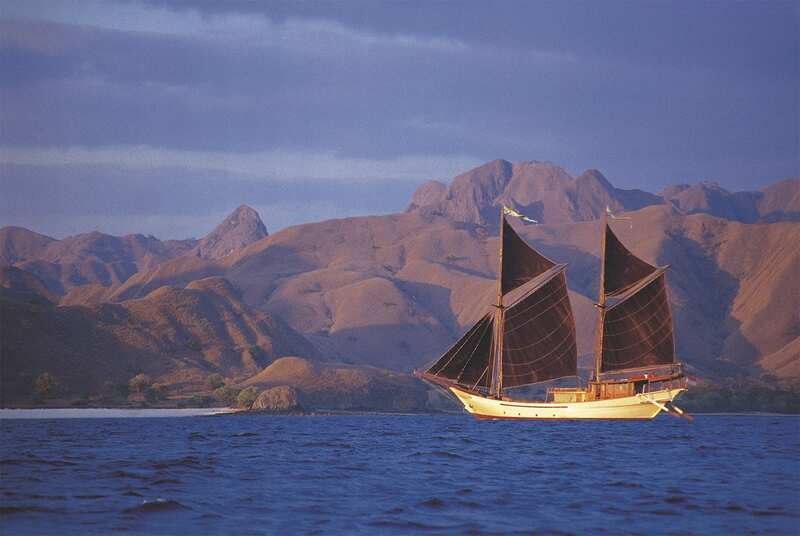 From March to October, Amandira plies the waters of Komodo National Park where you can see the famed Komodo dragons, the largest lizards on Earth that only reside on a few remote islands in the West Nusa Tenggara chain. 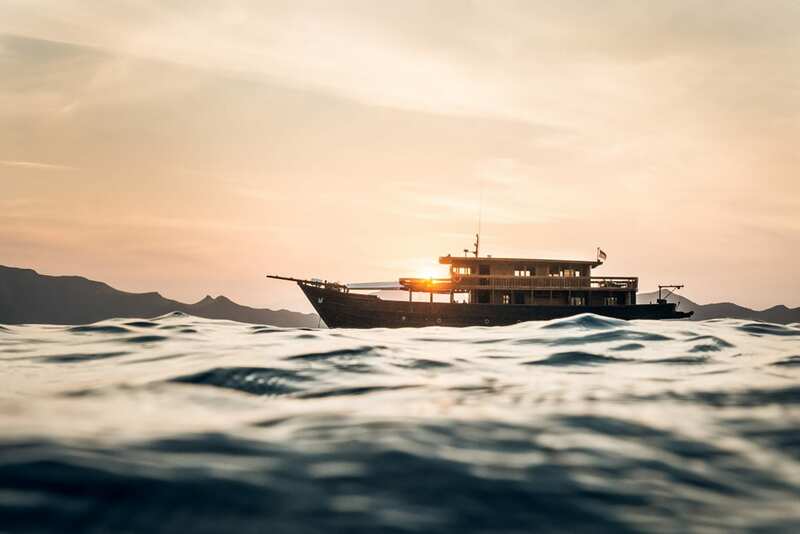 This expedition also takes you to deserted white sand beaches where you can enjoy picnics of freshly barbecued lobster and local delicacies, empty coves where you can snorkel with colourful corals and fish, and amazing dive sites where exotic marine life gathers. 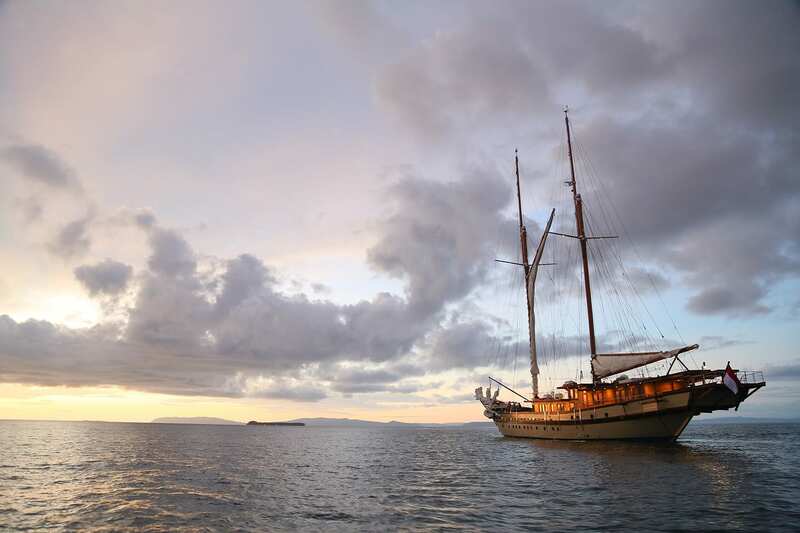 If diving is your passion, then the Raja Ampat expedition is an absolute must. 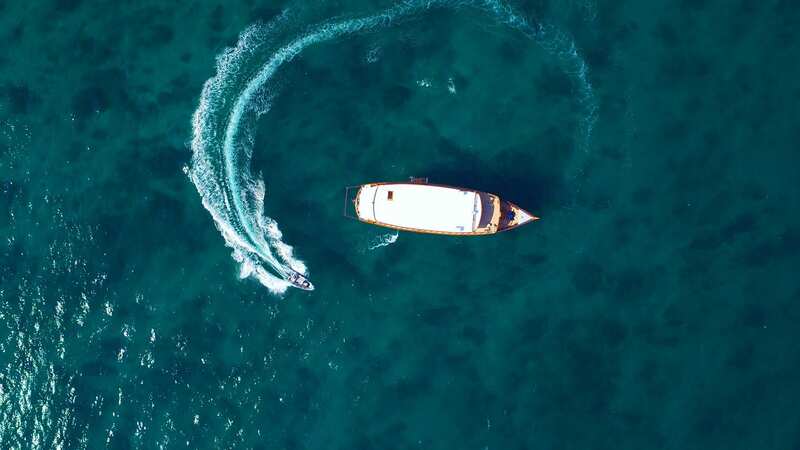 This protected marine park is where the Indian Ocean and the Pacific Ocean meet, and it is one of the most biologically diverse areas on the planet with over 1,500 uninhabited islands, extraordinary coral reefs and crystal clear waters teeming with marine life like sharks, dolphins, manta rays, dugongs and more. 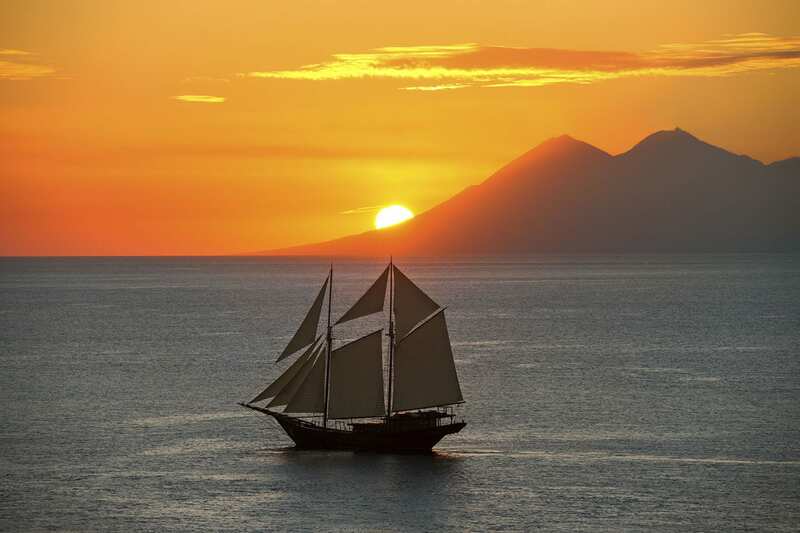 Here you will find some of the best dive spots in the world and amazing vistas both above and below water. 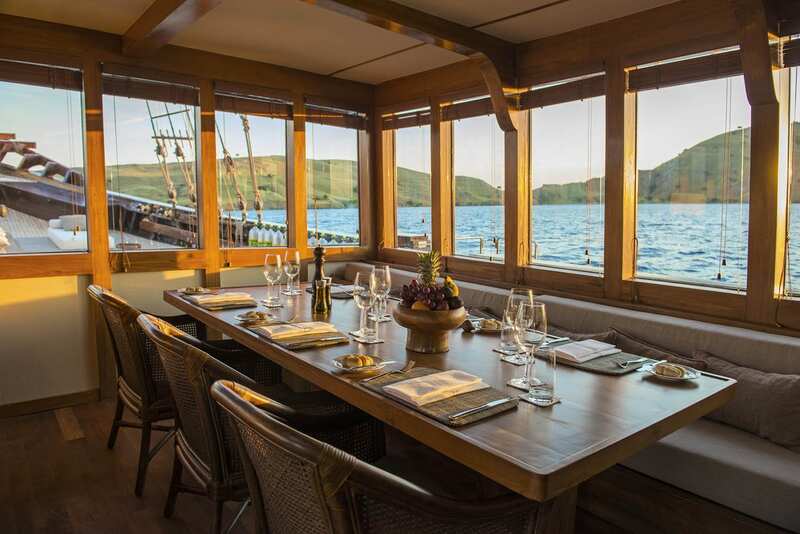 Amandira has five spacious cabins that can accommodate up to 10 guests, making this an ideal choice for families with children or groups of friends. 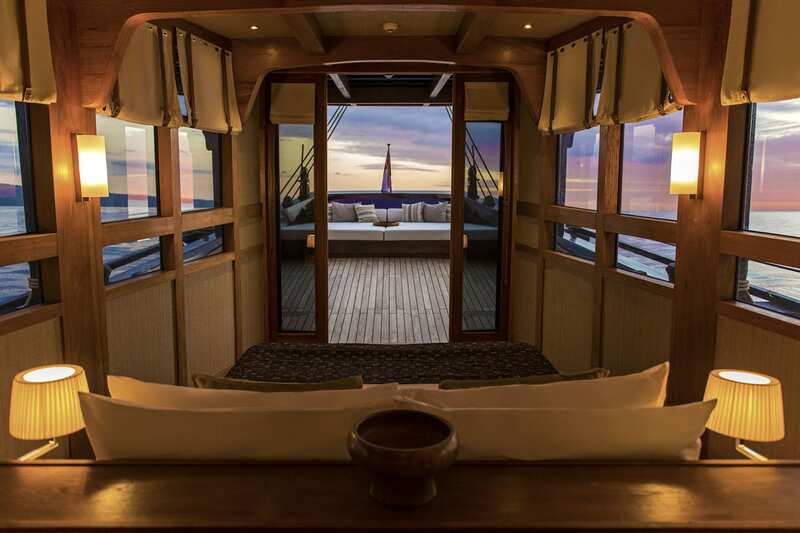 The master cabin sits above deck and offers sweeping views out of huge windows and a private verandah on the aft deck. 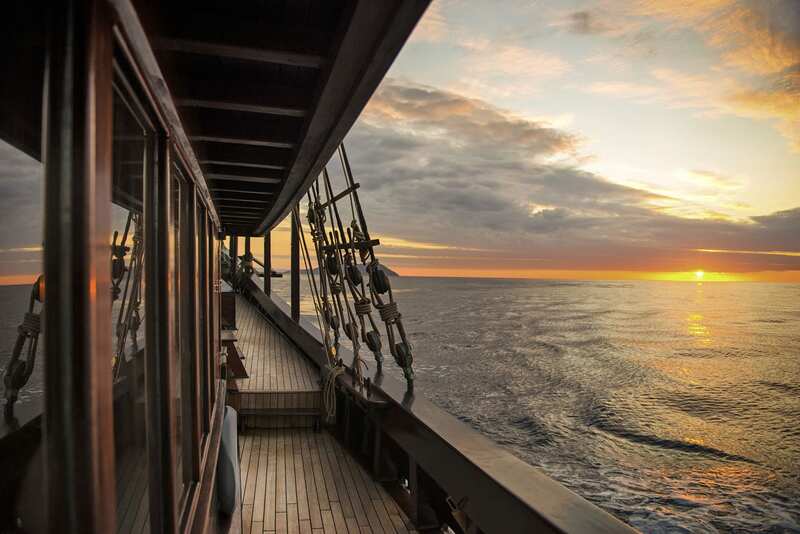 Below deck there are two deluxe cabins with living areas, coffee tables and writing desks. 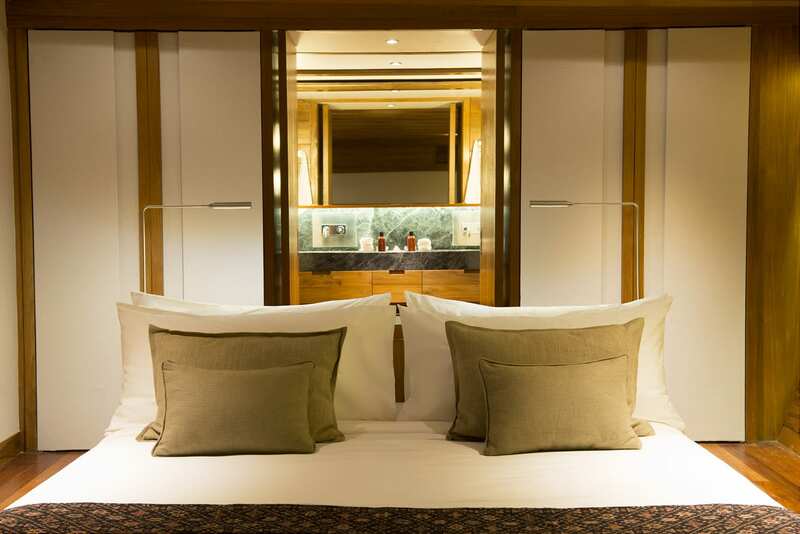 One cabin has a king-sized bed and the other has a queen bed that can also be converted into twin beds. 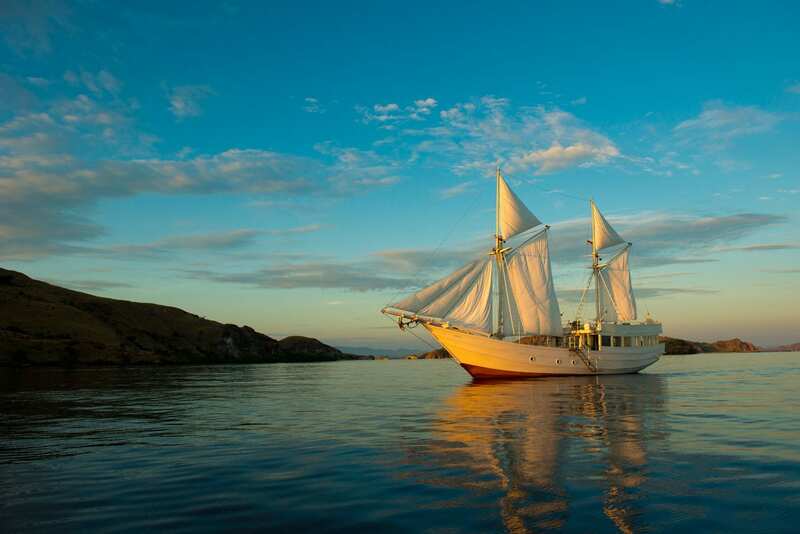 There are also two cabins with bunk beds that are great for children. 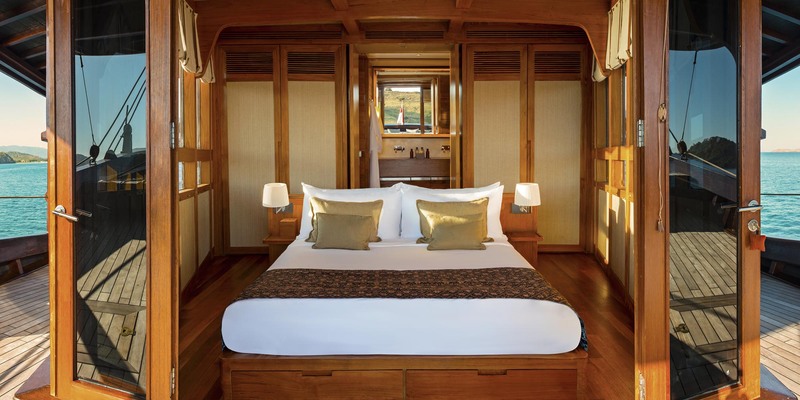 Each of Amandira’s luxurious cabins also has a large ensuite bathroom outfitted with marble and wood, twin vanities and a separate shower and toilet. 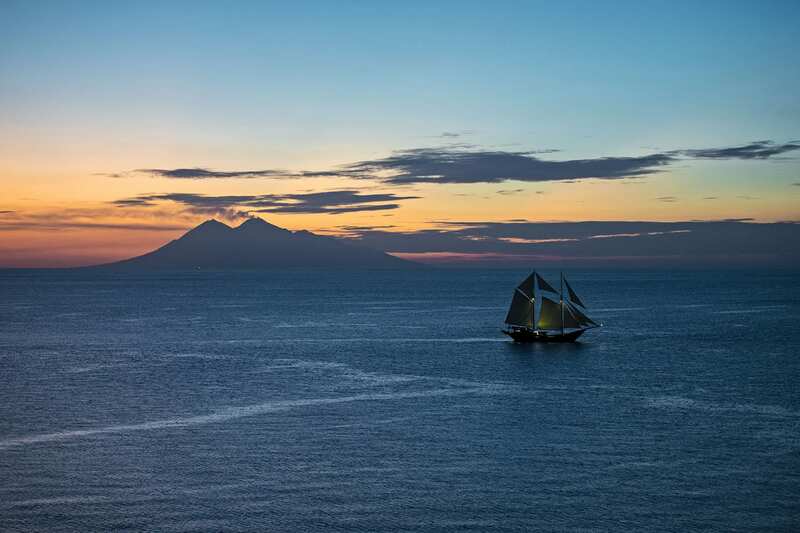 There are 14 crew members onboard each of Amandira’s expeditions, which means there is always someone on hand to attend to your every need. 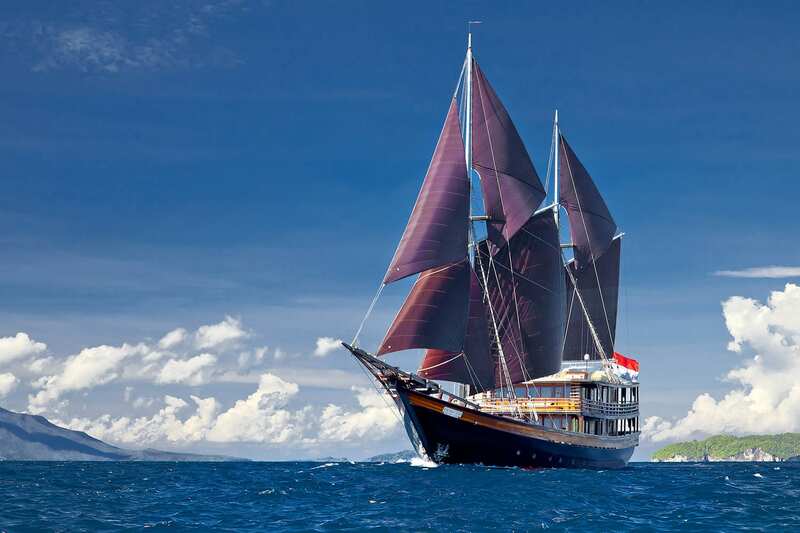 The crew includes your cruise director, who will take you to spectacular spots and cater your journey to your travelling style; a private chef who will whip up delicious gourmet meals; a masseuse to soothe aching muscles after long treks through rainforests and up volcanoes; and a dive guide who can help new divers get their PADI certification and provide expert divers with Nitrox for longer bottom times. 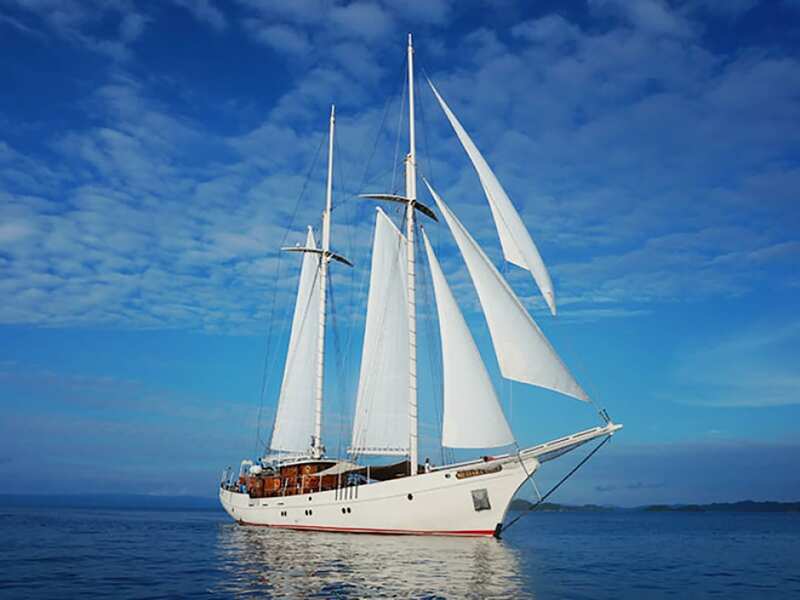 There are also kayaks, fishing equipment and snorkelling and dive gear available onboard. 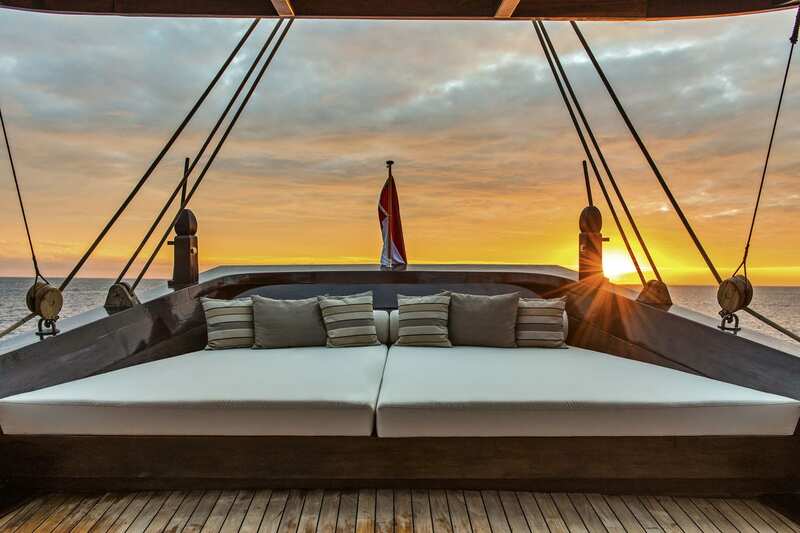 Amandira was built in 2015 and spans 52m with a beam of 10m and a draft of 3m. 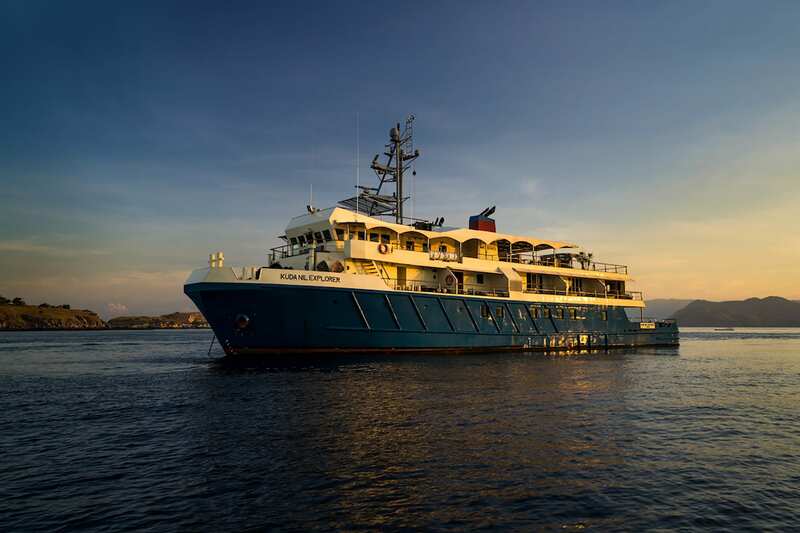 3 cabins + 2 bunk cabins accommodate up to 6 guests plus additional children. 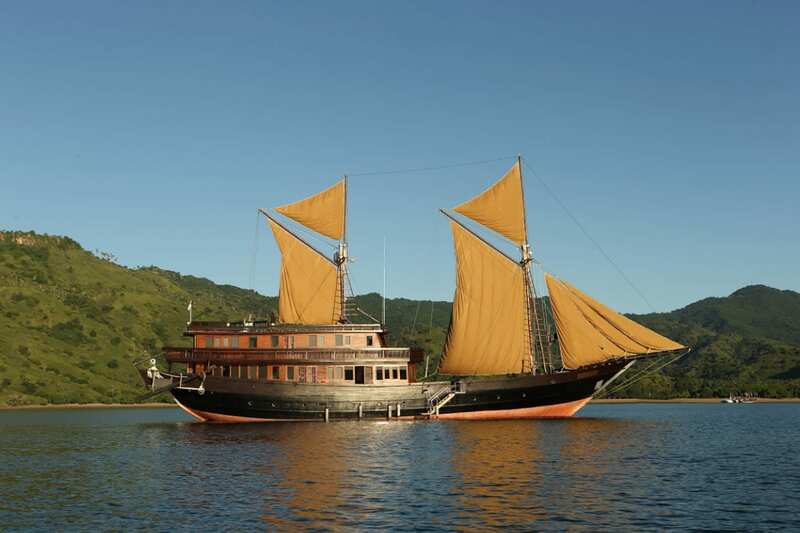 She cruises at a maximum speed of 9 knots.